I finally completed a little home decorating project; my F1 Wall of Champions. 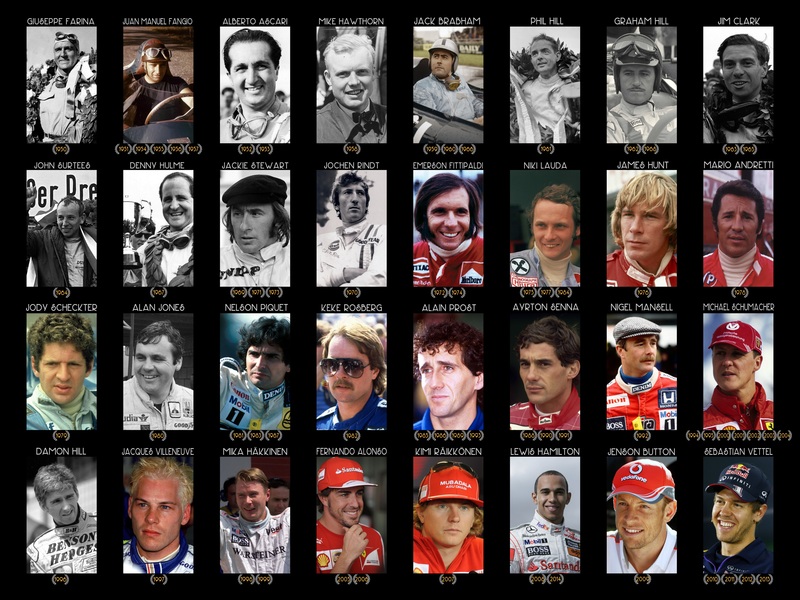 Every formula one word champion since 1950 proudly displaying their year(s) of victory (Schumacher was a bit of a squeeze!). Stitched together on Photoshop, I had this printed on a large canvas which now graces my living room wall. Reblogged this on El Abuelo F1.